Governor Akinwumi Ambode on Wednesday said that Lagos State Government would ensure that the dilapidated National Stadium would be turned into an enduring world class facility instead of being a waste. 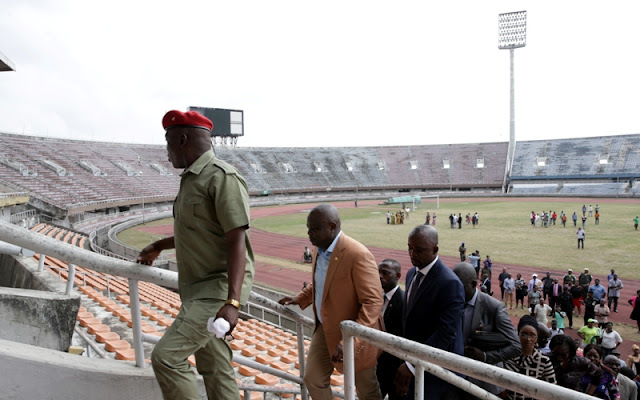 Ambode made the assertion when he spoke with newsmen after a joint inspection tour of the National Stadium, purportedly abandoned about 11 years ago, with the Minister of Youth and Sports, Solomon Dalung. That the concession bid for the national edifice was first muted when Ambode paid a condolence visit to Dalung in Abuja on February 18. 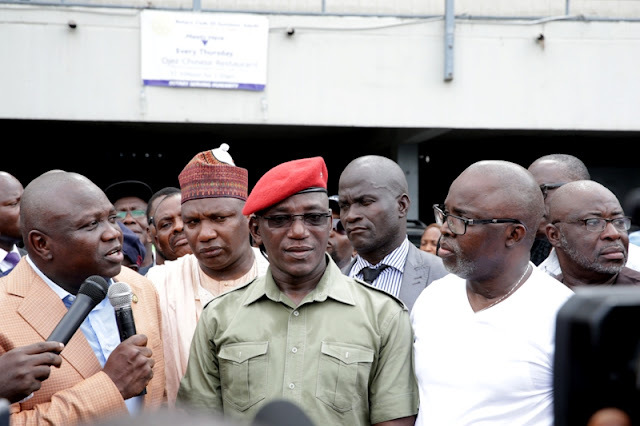 Ambode riding on the crest of the approval by the Federal Government to concession some of the national stadia to the resident state governments, asked for a stake by the state government. The Federal Government had already given the nod to the Kaduna State Government to manage the Ahmadu Bello Stadium and gave the same approval to Enugu State and Cross River Governments. Ambode said that if the concession could pull through, the state government would ensure that the stadium was given a facelift. “I will like to bring the National Stadium back to life. The last time a game was played here was in 2005. “If this project pulls through, it will bring about the employment aspect of football and hosting of matches to the stadium. “We want to bring back the football culture of Lagos State to the National Stadium after its renovation,’’ Ambode said. 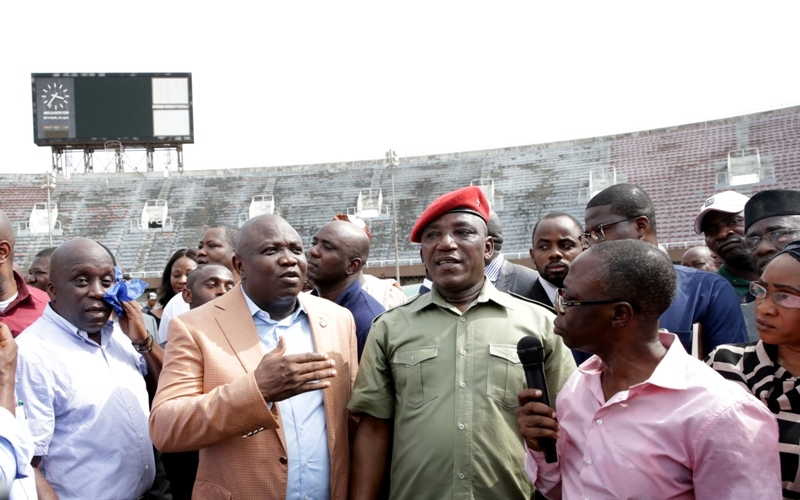 On the historic inspection tour of national stadium with Dalung, Ambode restated the commitment of his government to ensure that the once national pride was brought back to its former glory. “I want to establish the fact that we want to put this facility back to the real world standard and we have the layers of employment to achieve this and even to create a family bonding. “I want to also to thank Mr President, Muhammadu Buhari, who have graciously approved that the Ahmadu Bello Stadium should be given to the Kaduna State and also Enugu and Calabar stadia to the state governments. “What we asked for is not as if we are aggressive, we just think we should stand up for leadership here and take over the National Stadium here in Lagos. “I think we should do something for my generation and also bequeath something to the generations coming behind that we are not generation of wasters,’’ he said. 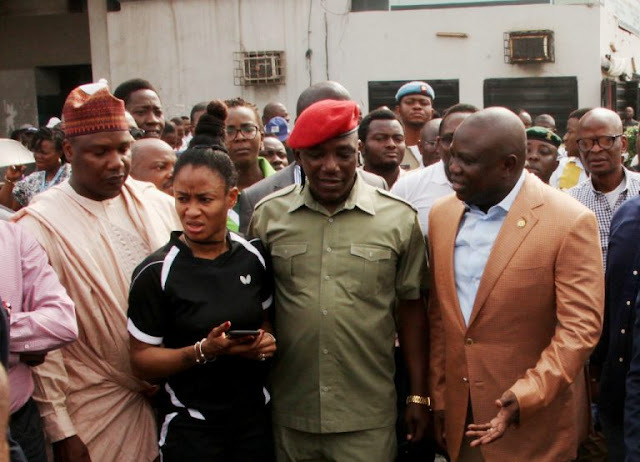 Ambode said that the government already had a plan for the stadium; a plan which he restated would be enduring in keeping the edifice in a good condition. “We already have our own plan to create a new national stadium of our dream. I don’t like making promises but I am tired of watching Arsenal, Manchester United and Chelsea. “I want to watch Dalung Babes and maybe Asiwaju Babes. We want to create within the 20 Local Government Areas of the state, 20 teams that may form a premier league. “We also want to allow those that want to develop clubs to do so and which, of course, we will allow to happen maybe before the year runs out or next season. 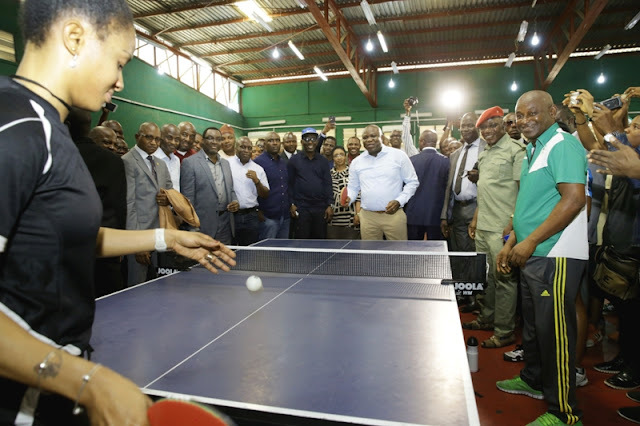 “We will put up a framework that works because besides football, the stadium is also for other sports such as Athletics, Swimming Basketball and Family sport,’’ he said. Ambode said that the government would create an all-inclusive infrastructure that would allow for family bonding which would be beneficial to all. “I want to say that this is the beginning of a process that will lead to the final pronouncement. We don’t want to leave it there, what we are dreaming here is the takeover of the National Stadium,’’ he said. Speaking, Dalung said the Lagos State Government must ensure a good maintenance culture to facilitate the concession of the stadium to the state. Dalung expressed displeasure with the dilapidated state of the structure which among others hosted the All Africa Games in 1973, Africa Cup of Nations in 2000 final between Cameroon and Nigeria and the 1999 U-21 World Cup. “This visit is very important because it has provided us with the information of how we got to where we are today and the steps we can take in the future to forestall it. “We have gone round, we have seen the edifice is in a sorry state, the level of dilapidation is very embarrassing and it can never be equated with our civilisation as a people. “The management of this stadium is fundamental because water and light are very important to its sustenance,’’ the minister said. Some of the facilities inspected include the Knock-up Hall, Indoor Sports Hall, Legacy Pitch Astroturf and the main bowl of the stadium, the VIP stand and Players changing rooms.